In many work environments, dangerous chemicals are constantly present to allow the completion of different types of tasks. To help ensure that the chemicals are able to be used safely for the facility, employees, and surrounding environment, a set of hazardous communication standards were established. The Hazard Communication Standards (HCS), or HAZCOM for short were made to make it faster and easier for people to get the information they need about specific chemicals. This is critical because when there is a leak or other issue, being able to take the right action, and being able to take it quickly, is critical for everyone's safety. All companies that use dangerous chemicals need to make sure that the HAZCOM standards are followed by employees, contractors, and anyone else working in the area. The HAZCOM requirements have been developed over the course of many years to help improve workplace safety. Today, the standards that are in place have been adopted by many countries around the world. 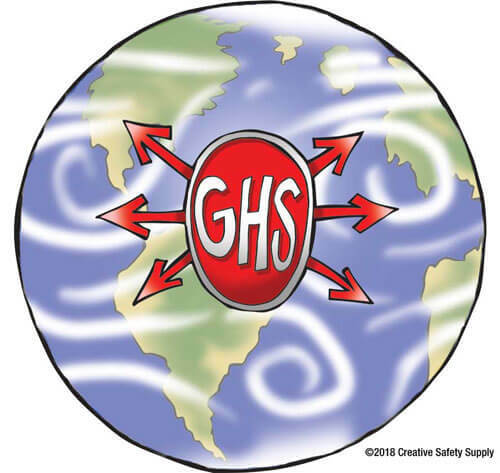 In the United States, OSHA has aligned their communication standards with the Globally Harmonized System of Classification and Labeling of Chemicals (GHS). In Canada, the Workplace Hazardous Materials Information System is used, and in Europe, the European Agency for Safety and Health at Work focuses on ensuring clear communications are used at all facilities. Having as many facilities around the world following the same type of communications is essential for keeping everyone safe at work. These standards allow people to move from one workplace to another without the need for significant retraining. This can prevent misunderstandings or other mistakes from occurring, which could cause serious injury or even fatalities. OSHA has made following the HAZCOM standards mandatory for just about all types of businesses that exist in the United States. There are a number of different requirements that need to be followed in order to avoid citations. OSHA identifies exactly which companies must incorporate these standards, and to what extent. Due to the nature of the standards, and the differences in types of facilities, only certain aspects will be applicable in each situation. Chemical manufacturers and importers need to classify the specific hazards of all the chemicals that they produce or import. All of the employees who work with or around these chemicals also need to be informed about the risks associated with exposure. In situations where employees are only responsible for transporting or storing chemicals, the requirements are less strict. This is because the containers holding the chemicals are never opened, which greatly reduces the overall risk associated with working with them. Employees still must be trained sufficiently on how to respond to an accidental spill. Chemicals - Identify which chemicals are used in the facility. This would include any chemicals that are present at any time, even if they aren't always being used. Safety Data Sheets - The program has to have safety data sheets (SDS) on each of the chemicals listed. Warnings - Warning information about all of the chemicals so that employees can quickly see what risks are associated with exposure. Response Plans - Instructions on what should be done in the event of exposure or an accident. This would include details on what to do for anything ranging from basic skin exposure to a full chemical spill or any other possible situation. 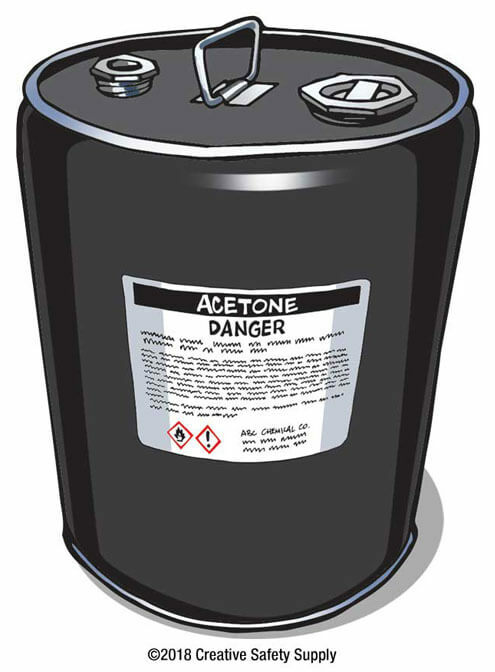 Any containers or machines that use chemicals need to be labeled with specific information about the chemicals being used. In America, these labels must be written in English with clear fonts. Employers may add additional labels in other languages as appropriate for their work environment. The labels can either be pre-printed and applied to the containers that are delivered to the facility, or printed on an industrial label printer in the facility itself. The labels must be applied to the containers as soon as is reasonably possible. Having the information available in the facility is not sufficient for OSHA compliance. Facilities must also provide all employees with training that covers the safety hazards, and responses necessary if there is a spill or other accident. This training should also explain how to read warning labels, safety data sheets, and any other information that is on site and part of the hazardous communication standards. If there are any additions or changes to the type of chemicals used on site, employees should be trained on those specific chemicals prior to their arrival if possible. Providing annual refresher training will also help to ensure the facility is kept as safe as possible. These annual trainings can be conducted as one large group, or given to individual employees by their direct supervisors. Tracking the training as it is given is important for OSHA compliance as well. For businesses operating in the United States, it is important to comply with OSHA's standards related to HAZCOM. OSHA works hard to make sure all companies have everything they need to remain in compliance, as this will help to improve workplace safety. 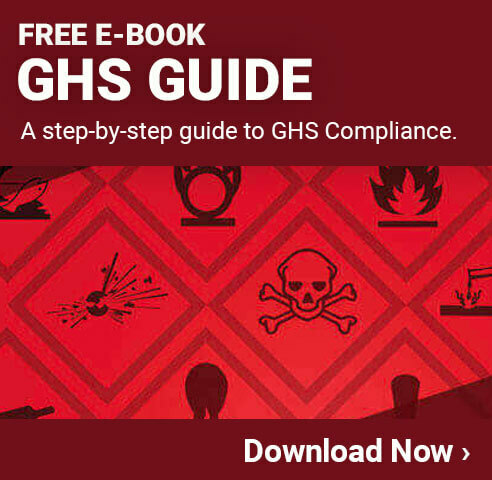 Companies that need to become compliant can find resources available from OSHA, and depending on the situation, can often get direct help and support from OSHA. They offer a variety of HAZCOM solutions, most of them free of charge, to help improve safety and ensure compliance with all applicable laws and regulations. Making the effort necessary to become, or remain, compliant is not only important for avoiding penalties, but also for ensuring everyone in the facility is safe. Programs such as this one from OSHA have helped to dramatically reduce the number of workplace accidents, injuries, and fatalities associated with exposure to chemicals over the years. Reducing or eliminating these issues helps to ensure that a facility is able to remain up and operational as much as possible, and reduces the expenses associated with an unsafe work environment. These are in addition to the increased risk of accidents and injuries in the workplace. Chemical spills and other related accidents can be very costly for companies. This is why it makes sense as a business to make sure these standards are always followed by everyone in the facility.